Visiting England was one of my first international trips- it took me from Bremen (Germany) to London and I can say it: it was love at first sight. 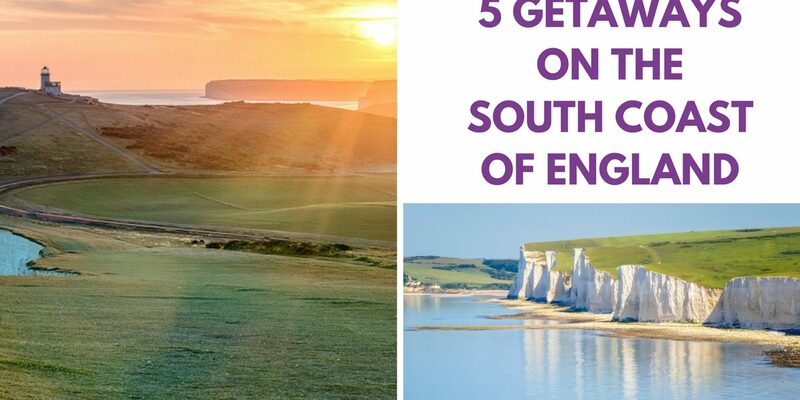 If you are planning a trip to London, or you are in London already, but like to leave the hustle and bustle for a day, you´ll find 5 great day trips from London – all located on the South coast of England. Over the time I have been to England, or in the UK in general, regularly. It is not only London I love – I love this beautiful and friendly, though admittedly somehow weird, country. For the last four years in a row I visited the south coast of England. So I would love to introduce you to some of some beautiful places on the south coast of England, which are make great destinations for outdoor lovers and fans of small charming and cute towns okay, there are also some nice places that are perfect for day trips west of London like Stonehenge and Bath. 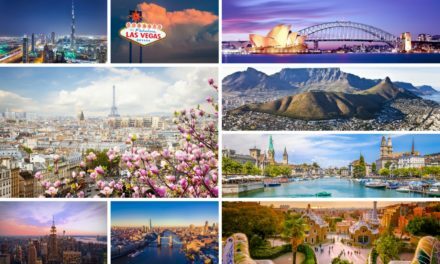 If you are looking for perfect getaways from London (or any other place), these might be the perfect choices for you. To find out more about my love for England, check out a previous post of mine in which I have mention England´s charming towns and cities, and friendly people – but now, I like to go into more detail about some beautiful places on the south coast that make for a great weekend away from the Big Smoke! 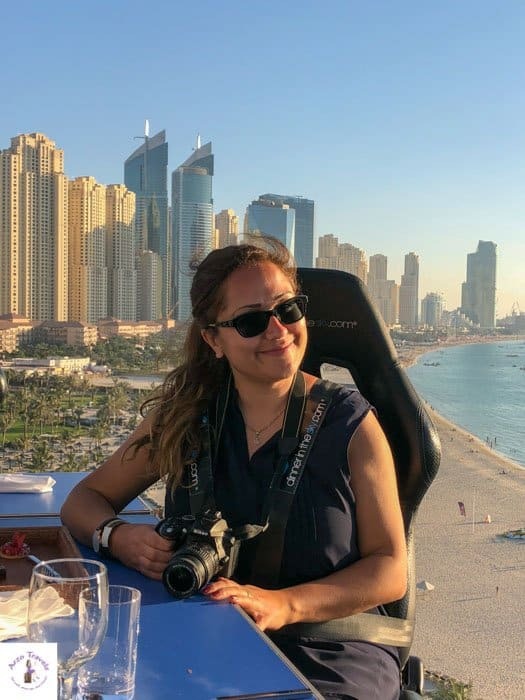 Female Travel Tips: I often travel solo and so also in England. I visited some of the places here not solo though. However, I think these places are great to travel solo. Whenever we visit the south coast we stay in Hastings, so this is the place I know best. This beautiful town of Hastings is one of the most historic places in the country! It was the place William the Conqueror built his first castle and the Battle of Hastings was fought here in 1066. This small town prides itself on its historic heritage and I recommend indulging in every aspect of it. 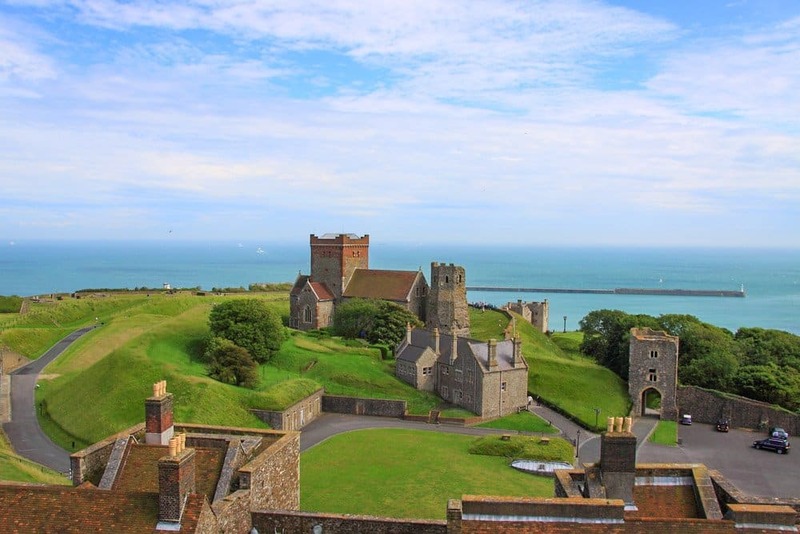 Heading to the market town of Battle a short distance north of Hastings, you’ll find the castle (that is now owned by the English Heritage, a charity dedicated to preserving England’s past). Here they have lots of interactive exhibits about the battle that shaped the history of England. The abbey here commemorates the battle and it’s well worth a visit. From there, you also have some beautiful views over Hastings and the coast, so even if you do not visit the exhibit, I recommend going up there. For those less interested in history, Battle and Hastings still have a lot to offer in the way of art galleries and installations, cafes and shops, there is something for everyone to enjoy. 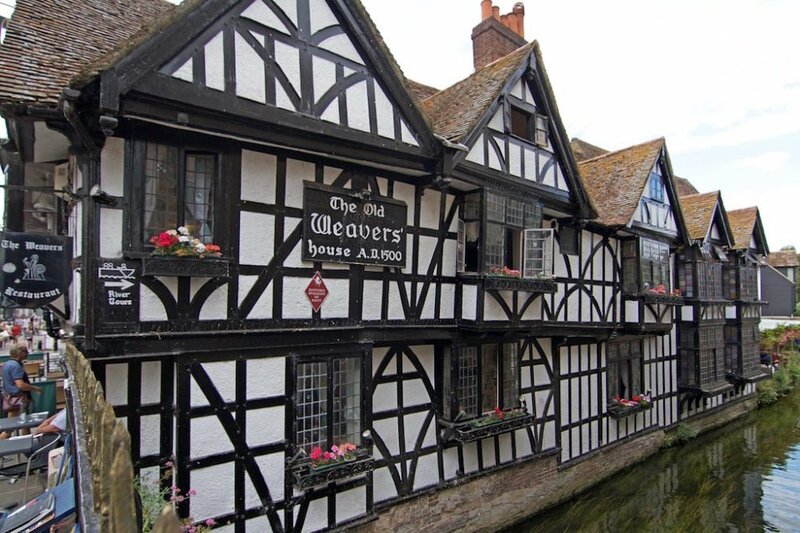 The narrow medieval streets hold a treasure trove of antique shops just begging to be explored! 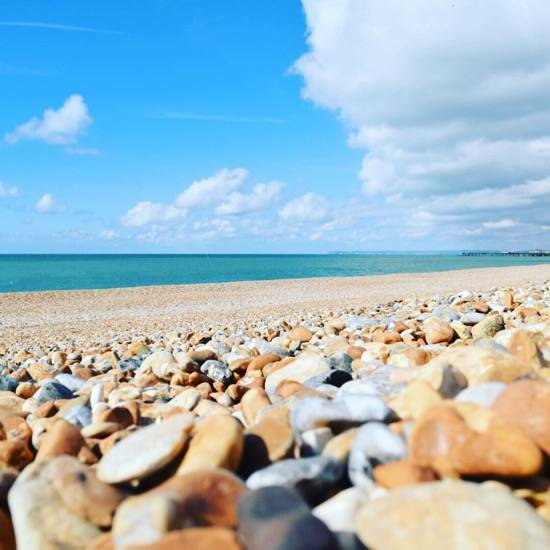 Coming out of Battle and back into Hastings gives you a chance to explore the beautiful unspoiled coastline. It’s a perfect place to bring the children as there are plenty of activities offered for kids, with small cafes offering ice cream and traditional cream teas. 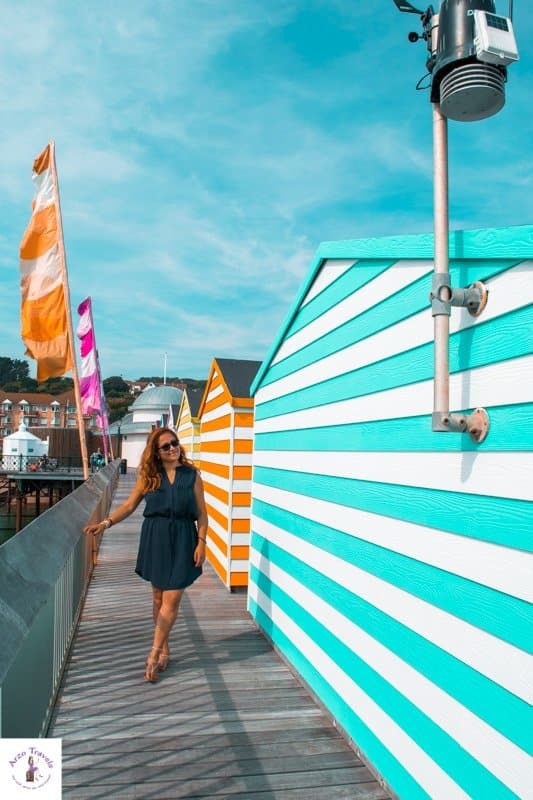 Though I prefer sand beaches over pebble beaches it is a great place to escape the heat in summer (which also exists in modesty in England) and surely a great place for kids and adults – the new pier is just awesome, so make sure to check that out as well. hotels and b&b in Hastings here. 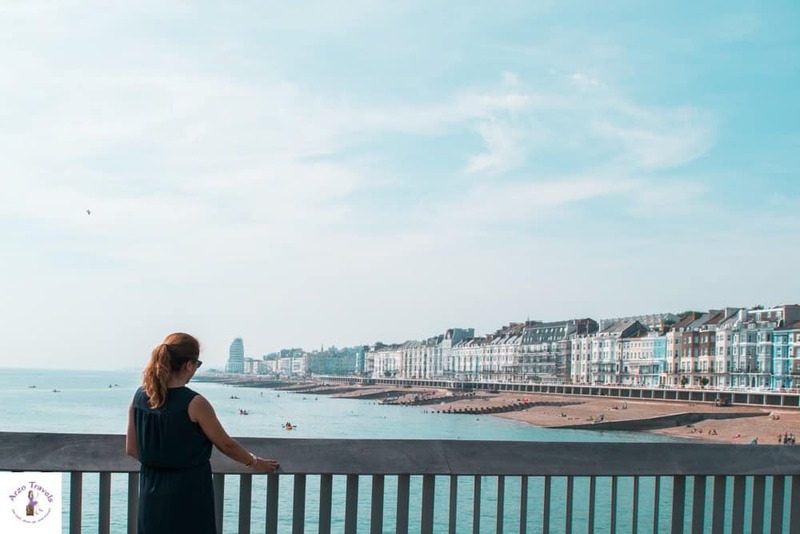 When people think of Dover, I find their mind wonders straight to thinking of ferry ports and trips to France, forgetting the beautiful town itself! Like many places in England, Dover also boasts a long and illustrious history being the closest point on the country to France it has always been at the forefront of many invasions. 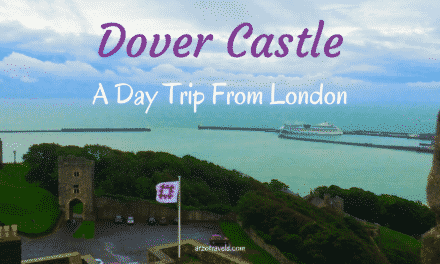 My favorite place to visit in Dover is the castle. You can immerse yourself in 2000 years of history there from the construction of the castle all the way up to it being repurposed as a wartime hospital and a base to organize the rescue of the soldiers in Dunkirk. 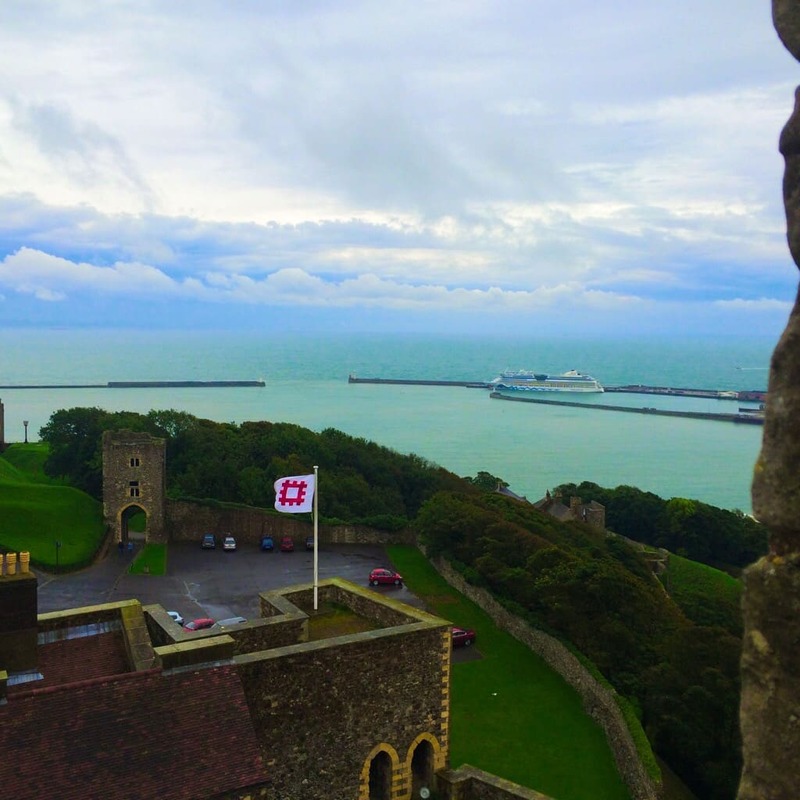 One of the things I loved the most about this beautiful castle is the gorgeous view (I have a thing with views, click here to read more about my trip to Dover Castle). Of course, if you’re more the outdoors type, Dover will not disappoint. It has miles of beautiful coast line with activities for every type of adventurer. There are frequent fishing trips as well as places to hire watersports equipment. Ride horses in the surf or even take in a few rounds of golf. There’ll be something here for everyone! However, a trip to Dover would not be complete without seeing the stunning white cliffs. There are many coastal paths for the walkers amongst you to trek along and see some of the most iconic sights of England. Stop by the National Trust visitor center too to learn all about the local history and the rare flora and fauna that grow on the beautiful chalk cliffs. Read reviews for accommodation in Dover, or just check out rates for hotels and b&b in Hastings here. I seriously love Eastbourne. This town is much more a ‘traditional’ English seaside town and perfect for bringing the family to. It boasts a stunning pier built in the 1800s which despite a fire in 2014, is still going strong with plenty of attractions along its length. Perfect for those Instagram shots! 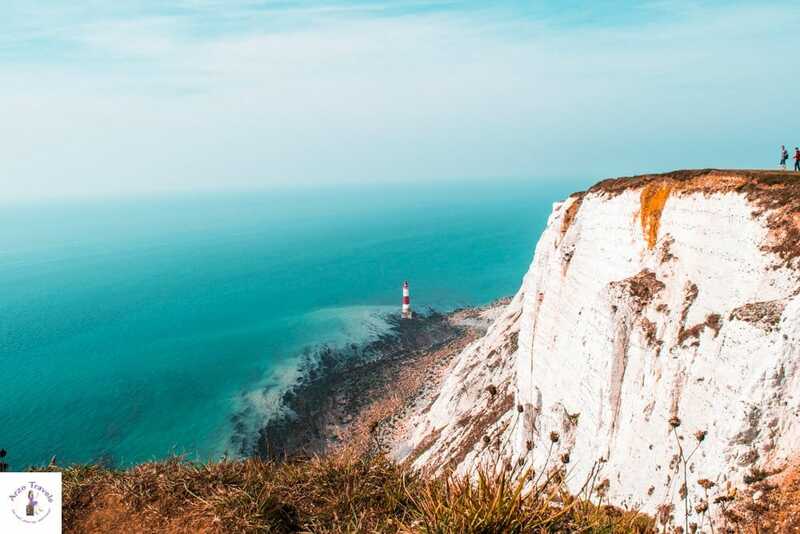 Beachy Head is a cliff face used in many famous TV shows and movies, including Harry Potter so it is great to bring the children to and re-live a piece of movie history. This is definitely an amazing area I cannot get enough of visiting. There are several adventure parks to also bring the children to with indoor and outdoor fun to be had just in case the traditional British rain happens. I thought the miniature railway was a perfect addition to any visit here for children and adults alike, there is nearly a mile of train track with scale model steam train running. Take the kids on a walk around the stunning lake to see the wildlife in its natural habitat then stop off at an award winning café for an afternoon cream tea. 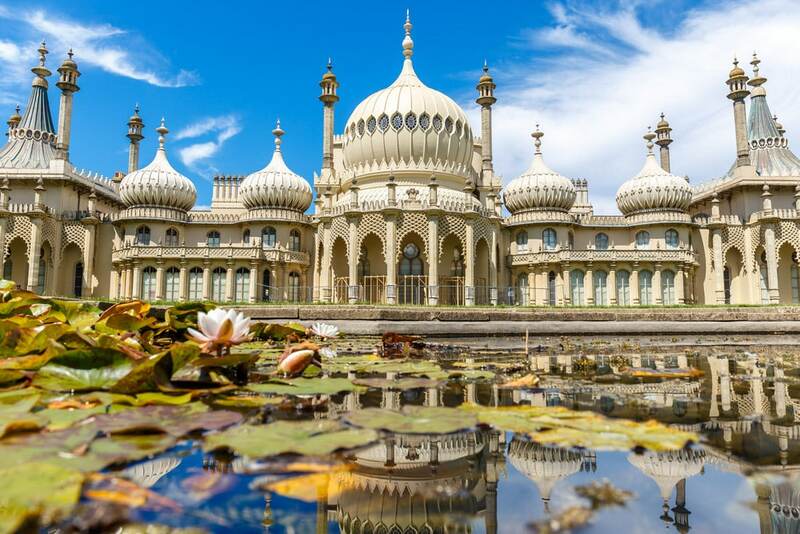 Again there are many castles and forts to explore as with much of the British coastlines but Eastbourne also is home to a science museum with many hands on exhibits to get little mind curious about the world around them and how everything works. However, if you need time away from the little ones, why not take a trip to the winery to enjoy a tasting session of their wines and some fine dining. 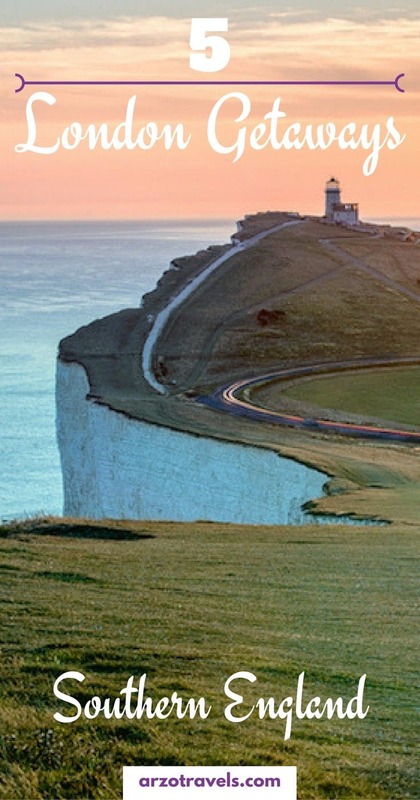 Click here to read more about the Seven Sisters Cliffs Hike. Read reviews of accommodation in Eastbourne, or just check out rates for hotels in Eastbourne. 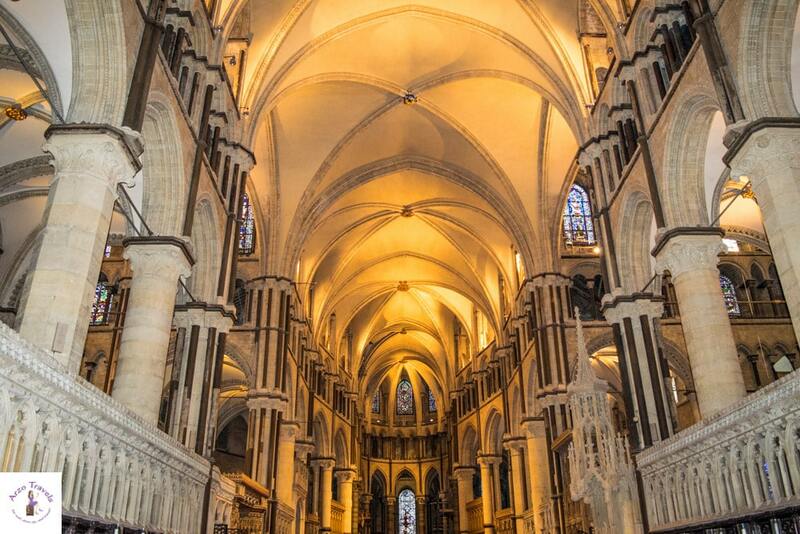 Another medieval city on the south coast but any trip here would not be complete without a visit to the stunning Canterbury Cathedral – tip: it ss worth to pay for the audio guides as well, to learn about the history. It has been a place of pilgrimage for centuries and the stunning architecture is well worth the visit here. I find this city is one of the best to just relax in. There are river boat tours as well as planned walks, gardens to explore as well as chapels and old historic buildings to just lose yourself in with their sense of peace and tranquility. If you want to come away from the peace and quiet, you can always go on one of the cities ghost tours! See the beautiful old city lit up at night and hear some of the humorous dark tales Canterbury has to offer. Don’t worry, the guide ensures no harm will come to you while you tour with him! Read hotels reviews in Canterbury, or just check out rates for hotels and bed & breakfast in Canterbury. Okay, Brighton is actually still on my bucket list! I try to pursue my colleagues to do a day trip to Brighton each year we visit, but I have not been successful, so I hope to visit by myself anytime soon. This place is better for the young or the young at hearts. It is a vibrant city and the nightlife is something the city prides itself on. The clubs are open into the small hours and accommodate every possible kind of taste in music. With Fat Boy Slim as a resident here there is nothing lacking about the scene. If clubbing the night away isn’t your taste then the comedy scene might well be, with loads of clubs to chose from I can’t wait to come here and explore all the fun and exciting things Brighton has to offer! 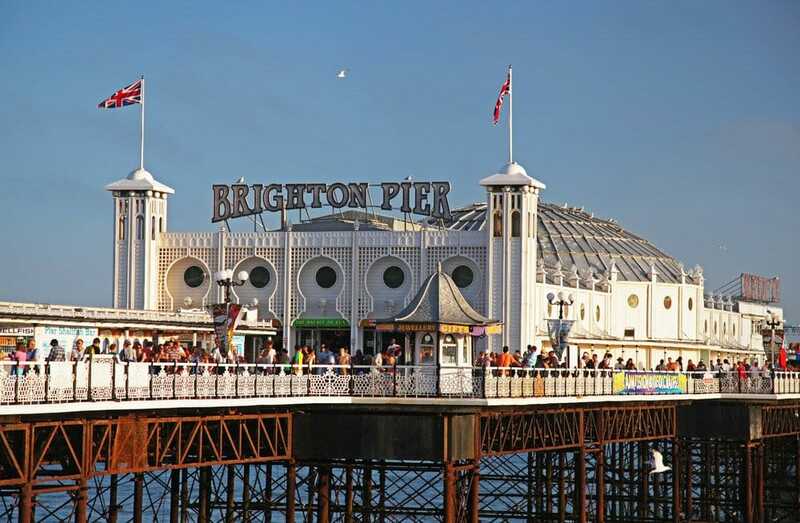 To find accommodation in Brighton read hotels reviews or just check out rates for hotels and bed & breakfast in Brighton here. 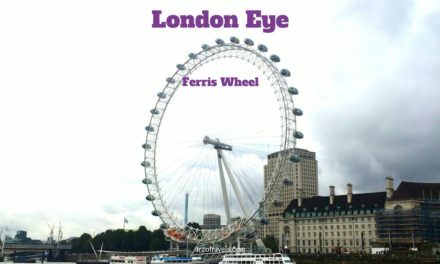 Since I have traveled to London and theses areas with kids the last few times (aka with my students) I loved the post on what to do in London with kids. 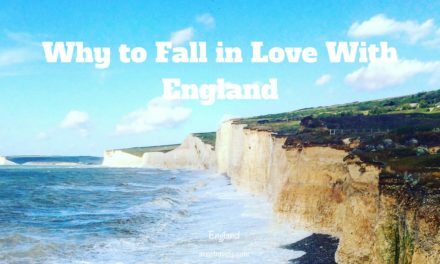 I hope, this post has inspired you to visit other places in England as well and discover the beautiful south coast of England. P.S. If you are looking for nice accommodation click here to read about 5 great hotels in South England.